Dr Charles Galdies is a lecturer with the Division of Environmental Management and Planning of the Institute of Earth Systems. He holds a doctoral degree in Remote Sensing and Geographical Information Systems from the University of Durham (U.K.). Dr Galdies studied ways to improve small-scale weather and ocean forecasting in the central Mediterranean region using novel remote sensing observations of the ocean and the atmosphere. He also has a Master of Science degree in Biology and a BSc in Biology and Chemistry, both from the University of Malta. Dr Galdies previously served as Chief Meteorological Officer of the Malta Meteorological Office from 2007 to 2011, and Deputy Executive Director of the International Ocean Institute Headquarters. He is the Permanent Representative of the Government of Malta with the World Meteorological Organisation. Dr Galdies’ expertise focuses on weather and climate, the application of remote sensing for coastal, benthic and terrestrial ecological mapping, as well as environmental data processing and analysis. He has provided consultancy to the Food and Agriculture Organisation, the European Commission, the International Union for the Conservation of Nature (IUCN) and to private companies related to ecology and policy formulation. 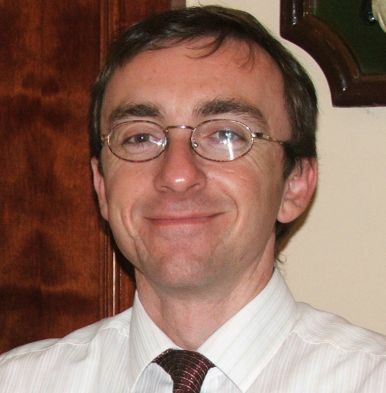 Research interests: Weather forecasting and Atmospheric dynamics; Earth observation technology – Oceanic and atmospheric component & Land use cover and coastal water monitoring using medium and high resolution data; Numerical weather prediction – Improvement of initial conditions, Data assimilation, Model verification techniques, Geostatistics, High resolution NWP, High resolution modelling of oceanic surface fluxes; Geographic information system – Geostatistics and spatial analysis, Raster data analysis and image processing; Climate change impact – Long-term climatic changes of physical parameters over the Mediterranean region, Climate data rescue. Galdies C and Galdies J (2016). From climate perception to action: strategic adaptation for small island farming communities – a focus on Malta. Watch Letter n°37 – September 2016, in press. Galdies C, Said A, Camilleri L, Caruana M (2016). Climate change trends in Malta and related beliefs, concerns and attitudes toward adaptation among Gozitan farmers. European Journal of Agronomy 74:18-28. Baldacchino G, Galdies C (2015). Global Environmental Change: Economic and Labour Market Implications for Small Island Territories. Xjenza Online, 3:81-85. Galdies C (2015) Potential future climatic conditions on tourists: A case study focusing on Malta and Venice. Xjenza Online, 3:6-25. Galdies C. (2015) A Spectral and Morphometric Analysis of a Small Lunar Dome Complex Blanketed by Ejecta in Euclides-J Region. Earth, Moon and Planets, 115: 115-130. Galdies C. (2015) A small lunar dome complex blanketed by ejecta in Euclides-J region? A spectral and morphometric analysis. Journal of the Association of Lunar and Planetary Observers. Journal of the Association of Lunar and Planetary Observers. Vol 57/2, 35-45. Salgado L M, Farrugia R N, Galdies C and Sant T (2013) Verifying Meteorological Station Wind Speed Data for Long-term Resource Studies: The MIA Luqa Wind Databases at Malta Verifying Meteorological Station Wind Speed Data for Long-term Resource Studies: The MIA Luqa Wind Databases at Malta. Wind Engineering 01/2013; 37(6), 605-616. Cabornero Gago R, Farrugia R N, Giordmaina L & Galdies C (2010) Analysis of Low Level Wind Behaviour in Central and South East Malta. WIND ENGINEERING, 34/2, 181-192. Galdies C & Donoghue D N M (2009) Use of exploratory spatial data analysis and geostatistics to verify the skill of atmosphere forecast models with improved data initialisation schemes. Rivista di Meteorologia, 69° Luglio – Settembre 2009, Rome. Galdies, C. & Donoghue, D N M (2009) A first attempt at assimilating microwave-derived SST to improve the predictive capability of a coupled, high-resolution Eta-POM forecasting system, International Journal of Remote Sensing, 30: 23, 6169 — 619. Vassallo A & Galdies C (1992) The Mediterranean marine information Network. UNEPMAP, Athens, 88 p.; GC1351.M26 1992, 551.46138 WORLDCAT2 .